The Bible League assists Christians and churches worldwide, so that people prepared by the Holy Spirit will be brought into the fellowship of Christ and His Church. 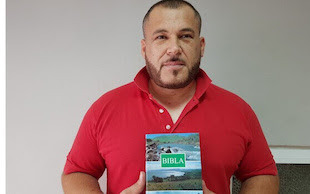 Specifically, they provide Bibles and related materials, promote personal, family and small group Bible study, partner with churches and mission organizations, supplying them with Bibles, related materials, and training in church planting and Scripture placement. Where there is no local church, Christians are trained to establish new churches. Lilit, 26, was raised by her grandparents in Armenia when her parents moved to the Ukraine to find work. Life became more difficult for Lilit when civil war broke out in the Ukraine. Her parents had to move to Russia and became unable to help financially. Lilit had to borrow money from others and wasn’t able to pay them back. And she felt like God had forgotten her. 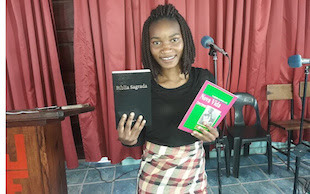 Margarida is so grateful for the Project Philip Bible study booklets she received and for the group that made her feel like part of a family. She beams, “During our Bible studies, I learned about the love of God through the parable of the father who loved and received his son, in Luke 15:20. I used to be lost and living on my own, but my Father received me back! Giang is a church leader in northern Vietnam, about 215 miles from the capital city, Hanoi. Just a couple of years ago, before he knew Jesus as his Savior, some believers came to his village to help a widow renovate her house and help with her children. Giang was impressed. He recalls, “I tried to understand the reasons why they would do such things for each other.” He heard the Gospel that day, and it made all the difference in his life. He asked a Christian friend, who he later realized was a pastor, to pray with him to accept Jesus Christ as his Savior. 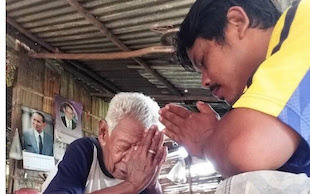 Soon after, Giang began inviting other villagers to come to his home to worship God with him every Sunday. He learned to read God’s Word and shared it with others during their Sunday worship time. Soon, people in Giang’s village wanted him to be their pastor. But he felt unqualified. “I didn’t have enough Bible knowledge to be a pastor,” he notes. One day, the pastor who prayed with Giang came to visit and gave him some Bibles and Project Philip Bible study booklets. Soon Giang asked his friend for more of them so he could teach people in his church. He explains, “These are the only printed copies of Bible study materials that our church has.” Through this training and these materials, Giang not only grew in his faith, he helped more people discover the Gospel. As the economic and political crises grow worse in Nicaragua, pray for peace. Please also pray for God to open doors for ministry to continue reaching those in need. Currently, many Philips and church planters are unable to travel for training, classes, or even to attend church. Praise the Lord for the Project Philip training in Indonesia. May these Philips (Project Philip Bible study leaders) share God’s Word with boldness and help more people to experience new life in Christ. 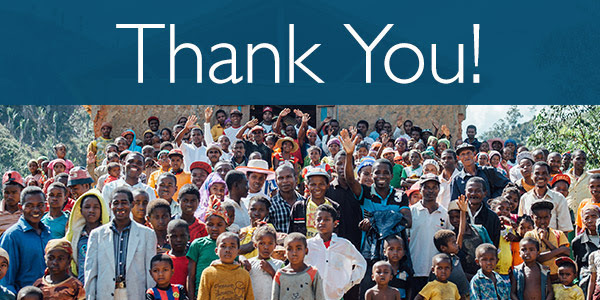 Thank you for your prayers and financial support. Your gifts to Bible League International make it possible for our ministry to provide God’s Word to a world in need. “I recall it clearly as if it was just yesterday,” Alexander begins—a prisoner in Nairobi West Prison, Kenya. “I was just 25 years old when I was arrested, found guilty of possessing stolen property and sent here.” And Alexander wants to tell his whole story so others can hear what God has done in his life. Rather than sell your stock, consider giving some of it to Bible League International to equip believers around the world with God’s Word. You will not pay any taxes and you will receive an income tax deduction for your gift. To receive the explanation of a stock gift please contact Jim Prock, Senior Director of Planned Giving. Call (405) 205-8343 or email jprock@bibleleague.org. Pray for the new Bible-based Literacy trainers in Nepal as they begin classes in the mountainous area where the Gospel is seldom heard. Praise God for the recent graduation of 36 new church planters in northern Peru in isolated Amazon regions of Puerto Galilea and Yutupis; may God use them to reach the many indigenous people who are without God’s Word. “We know God sent us this Project Philip Bible study after so many years of praying because now we can understand God’s Word and how to help others see the Gospel,” a believer from the Mieng tribal people living in northern Vietnam offers. “After so many years without God’s Word, thanks to you we have this gift.” Most are farmers in the Nguyan Province, about 100km north of Hanoi, and others live in rugged mountainous areas beyond roads, “but today there is a church of Mieng believers and God has blessed us because we can now understand the Bible.” This is how God’s Word is transforming lives today—because of your help, lives are being transformed.